Here are some of the comments I have received about my golf coaching. All of the credit is down to the golfers themselves. They did the work. They took a risk, a leap of faith to come and ask for help. I simply pointed them in the right direction. Following his recent success in qualifying for the European Seniors Tour, Kevin Spurgeon is convinced a visit to a local sports psychologist has worked wonders. “I had always approached each golf shot with a negative attitude,” explained the 49 year old Dudsbury club profesional. “I would look ahead at all the pitfalls, like ‘ what happens if I miss the green’ even though I was faced with a fairly straightforward chip shot.” “And between shots I would be fretting about what could go wrong,” added Spurgeon. Jon and I worked together when I was on the European Challenge Tour. At the time my confidence was low and my focus was on money worries and performance frustrations. I seemed to be playing well away from tournaments but my putting was impeding my progress. We only met face to face a few times but talked alot the phone. British Amatuer Champion, 6 Times Challenge Tour Winner, Winner Jamega Tour Order Merit. Thought I’d take the opportunity to write my testimonial whilst I’m on line – hope you can use it. After months of frustration and coming very close to giving the game up I decided to try sport psychology as a last resort. Following extensive research I found Jon Adler and another “professional psychologist” who was highly qualified and had worked with the likes of Jess Ennis and Liverpool FC. Surely she would have the answers. Well I spent almost a full day with the “professional” which cost a fortune and got absolutely nothing out of it except “Think Positive” – well to be honest we don’t go to the golf club thinking negative or saying “I’m going to play terrible today” yet no matter how positive I thought that’s what happened. So I bought Jon Adlers eBook and read it a few times, the opening chapter more or less could have been written for me. So I booked two days with Jon and went to see him in May. WHAT AN EYE OPENER. Never once did we talk about swing, stance, grips – all the stuff that you’d expect from a coach, instead we spent two days just enjoying trying new things, experimenting and learning how to have fun when playing – I know that sounds daft but that’s what was missing – I’d forgotten that its a game and should be fun. Not only that but Jon also gave me so much confidence without changing anything else in my game except my mind-set. In summary, its now been two weeks since I saw Jon, I had a blip and Jon soon put me back on track via an email and my handicap has come down by a full 3 points but more importantly I’m enjoying my golf more than ever and my friends are enjoying playing with me too as I’m no longer moaning and groaning and bad company. For the price of a decent driver or a few more pro lessons telling you how bad your swing is you could spend a day with Jon and actually make a difference to yourself and play more fun, enjoyable golf. I can’t recommend it enough and I will definitely be spending another day or two with Jon in July. Being a golf addict I’ve tried hard over the last 8 years to get the most out of my potential and my golf swing. Obsessions with my score and handicap, and subsequent tinkering with my swing, led me to feel frustrated and generally unhappy with my golf game. 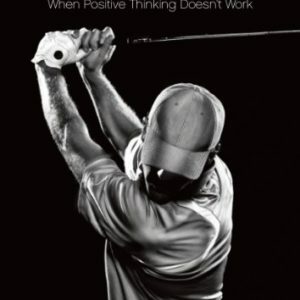 Having read Jons’ book I was keen to learn more about the psychology of golf in the hope to improve my own performance and enjoy playing again. Within a matter of weeks after starting individual coaching sessions with Jon I am swinging the golf club more freely and with more enjoyment than before. Jon has helped me to focus on the many individual moments that make up a round of golf and I no longer feel the weight of my scorecard as I swing. As a result my game has improved dramatically and I have been enjoying playing golf more than ever. The renewed excitement and new levels of confidence that coaching has given me is beyond anything I could have expected…..
Hi Jon, things are on the up! Golf is improving to a higher level, and feeling confident with the season approaching us. I am using your techniques within my game, I use freedom from around 100 yards in, helps with feel. Long game I focus more on the target and which line I want to set the ball out on. The exercise that you showed me for relaxing and keeping my thoughts in one place helps and I use that on the night of a tournaments which helps with focus for the next day. Your one day course I felt was good Jon, plenty of information but nicely spread out. Many thanks again. Dear Jon, many thanks for your help and advice yesterday. I found your aproach refreshingly different and easy to understand. My problems of pitching and chipping have ruined my enjoyment of the game and were likely to be terminal. I now have some sound solutions to work on and I feel optimistic for the future. Hi Jon, just a BIG thank you from all the ladies at Dudsbury for your excellent coaching day yesterday. We all thoroughly enjoyed the day and have all benefited in some way. Just waiting for the results to show now which I am confident they will. We will most defiantly be seeing you again on the future as I will be telling all the girls what they have missed! I thought the session was well worth the time spent. It Just brought home to me how reliant I had become on having to many golf lessons and becoming a bit of a robot. 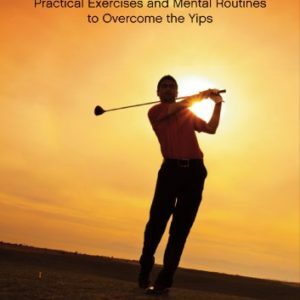 It appears yips cannot be solved by swing coaching alone. I have known Jon for six years which is when I first had sessions with him. These helped me enormously, breaking the mental chains, decluttering and making me focus on the right thoughts. The transformation is enormous and is still working to this day. The first week I worked with Jon I won the following tournament! I almost don’t want to give a testimonial to tell people about how amazing and enlightening Jon is because I feel he is my secret weapon, my ticket to the ‘Big time’. If you are fed up with following the herd and want to understand whatever will be, will be, then Mr Adler is the most important man you will meet. The person I played with on Tuesday said how much she had enjoyed the game as I was so calm to play with. I can’t get over the improvement and enjoyment in my putting in particular. Anyway quite clearly the weekend was just the ticket!! To continue the story: on Tuesday I did a stableford and only got 20 points – the worst ever – BUT I still enjoyed it! I found that I was not despairing but thinking how good the blobs were i.e what difficult lies I’d got out of etc. The main thing was that I was able to walk away from the ghastly holes with equanimity and carry on thinking let’s see what happens. Then yesterday I was doing a card for some-one’s handicap and we are expected to put our score in too and I got 34 points. That’s pretty good for me. 6 weeks ago I would not have been able to go out and play the next day after the ‘humiliation’ and I would have been boring Graeme stiff with why, why why. I came to see Jon to hopefully get a better understanding of why I lost concentration and confidence on the golf course, I left with a completely new way of approaching the way I practice and play. Jon’s methods do not involve lots of goals and structure and do’s and dont’s and motivational thoughts he simply gets you to a place of freedom and concentration that allows you to just feel at ease. He lets you discover the answers for yourself. As I hit balls on the range I truely felt like it was the best I had ever hit the ball in a practice session, just by letting go of all the swing thought and technical positions I found a swing that felt effortless and produced the shots I wanted to play. I would highly recommend Jon to anyone looking for a new approach to performance coaching through learning how to let go and let that great swing find you. Instead of endless searching by hitting millions of balls, today was a revelation in the way I think and approach the way I play. Plain, simple and easy to use mental game techniques. Enjoyed the practical aspects and being able to actually practice all the techniques on the course. Thanks for two valuable days of training.